Sycamore Financial Group has created a Business Continuity Plan (BCP) that provides for the firm to continue client service within a reasonable amount of time, given the scope and severity of a significant business disruption (SBD). The BCP anticipates responding to both internal and external SBDs. An internal SBD, such as the loss of our telephone system, affects only the firm. The firm will respond to internal SBDs by re-routing calls to secondary numbers, and/or relocating its primary office to a secondary location, and/or, recovering data from a back-up storage media and/or a back-up site. The firm expects to recover from an internal SBD within one hour. An external SBD, such as a power outage or flood, affects multiple businesses and can be local, regional, national, or global. The firm’s response to an external SBD relies more heavily on other organizations, such as the clearing firm and product sponsors. The firm expects to recover from an external SBD within six hours. If a SBD disrupts both the primary and secondary methods of contacting the firm, customers should contact the clearing firm at (214)859-9100 and/or product sponsors at the number provided on quarterly statements. The clearing firm and/or product sponsors maintain customer accounts and can deliver funds and/or securities. In the event an SLiD renders the firm unable to receive customer orders, the firm will instruct the clearing firm and/or product sponsors to provide customers with instructions and assistance on how customers can gain prompt access to their funds and securities. If the SBD disrupts the clearing firm’s systems, customer orders and requests for funds could be delayed during the time period in which the clearing firm restores its operations and resumes accepting customer orders and completing existing orders. The clearing firm expects resume accepting orders within six hours. 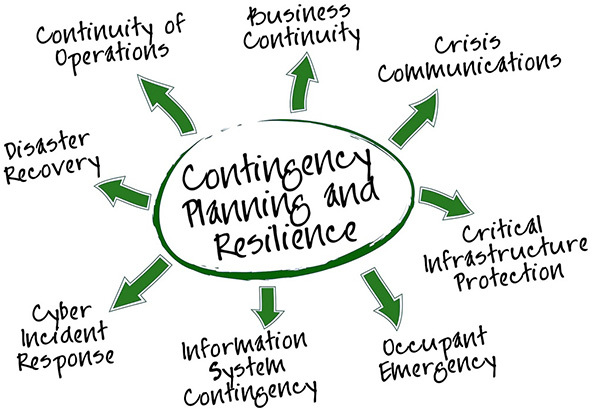 While no contingency plan can eliminate all risk of service interruption or temporarily impeded account access, the firm continually assesses and updates its BCP to mitigate all reasonable risk. This disclosure is subject to modification.